A huge part of my decision to base myself for a while in Courmayeur in the Italian Alps is the easy access to a plethora of great hiking trails. Right next to Mont Blanc, you are spoilt for choice. 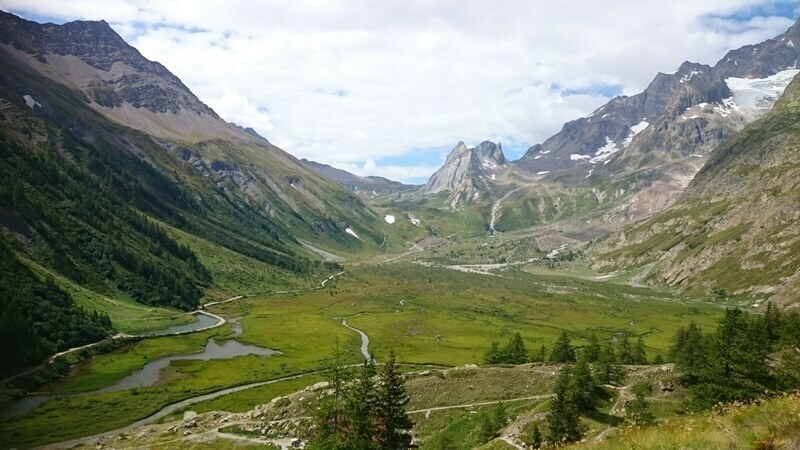 From beautiful Valleys like Val Ferret and Val Veny, to hikes up to mountain huts like Rifugio Bertone, to fantastic view points like the Orrido di Pré-Saint-Didier Walkway. 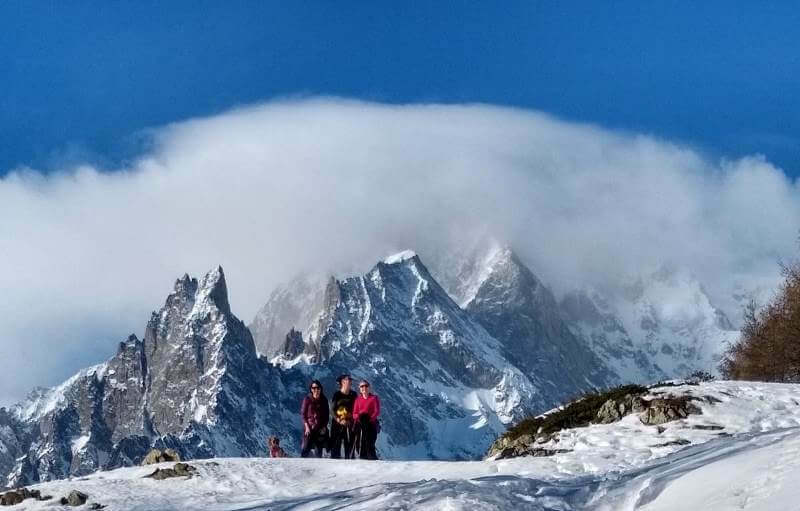 When talking about hiking in the area, it is most well known for the Tour Du Mont Blanc multi-day trek. The popular 170-kilometre trail is completed by thousands of hiking enthusiasts every year and it takes you through the mountains in Italy, France and Switzerland. 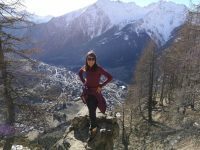 If you prefer to base yourself in one place, want a more gradual introduction to hiking, or perhaps you have children, then there are still plenty other walking options in the area and I wanted to share five of my favourites easy day hikes from Courmayeur. So, this is not a technically challenging walk. If you are wanting to push yourself, you can always add onto the route I describe here. It is jaw-droppingly beautiful though, has paths that are suitable for walking with children and you don’t need a load of walking gear. 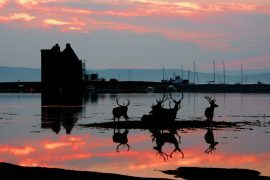 It can be a very busy route during the peak summer months so, if you are looking for solitude and peace this may be one to try out with July and August. Do be aware though that from mid-October to April the road access is closed as the area is used for skiing. 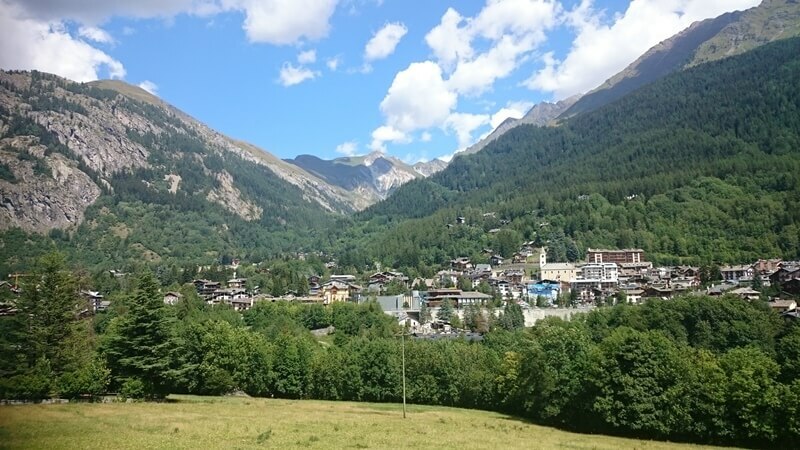 If you don’t have a car then you can reach the start of the walk by a ten-minute bus journey from Courmayeur town centre. Val Veny is clearly signposted from the road out of Courmayeur. The road up is steep, windy and, at points, narrow and it can be busy during the summer months so drive with care. I usually park in front of the Hobo Campsite and enjoy the walk along the edge of the river but there is also a car park a bit further along the road on the right-hand side if you want to cut off around 15 extra minutes walking time. From the car park, you can either continue following the road up, there are not many cars after this point, or you can take the shorter but steeper route up through the trees along the side of the river. There are a few small waterfalls and it is the cooler option in the hot summer weather, even though it is a harder climb. This trail then joins back onto the road further up and there is a bar/ restaurant here which can make a nice rest point, maybe on the way back down again though! The path continues along the road for some distance although there is no access for cars for the best part of the route. The further up you climb, the more dramatic the scenery. On the left, the rock faces have been eroded resulting in some unusual shapes and caves. As you reach the valley opening you are rewarded with really spectacular vistas over Lake Combal. The water changes colour from one pool to the next, but it is always beautifully clear and the colours of the flora and fauna range from greens, to purples, to yellows. You will need to have your camera at the ready. I have done this walk in all weather’s and, although I love it whenever I am there, it is best appreciated on a clear, sunny day. Cabane Du Combal, one of the mountain Rifugios, offers refreshments at picnic tables if you want to stop and appreciate the views. It is totally worth adding another fifteen to twenty minutes of a climb onto the walk to look over Lago Di Miage. This is a glacial lake that changes colour and size over the course of the year it is, unfortunately, shrinking annually as a result of climate change so, another reason to see it whilst you can. The lake has two sections, one is usually a dirty grey colour from the sediment and the other a vivid blue. It is a unique and impressive sight, especially as it is also surrounded by walls of ice. Care must be taken when viewing the lake, you shouldn’t get too close and pay attention to the safety signs as there is a risk of injury as pieces of the ice wall are constantly breaking off. If you want to make the walk longer/ more challenging you could walk further through the valley and up to Rifugio Elisebetta. Allow the full day for this hike though. 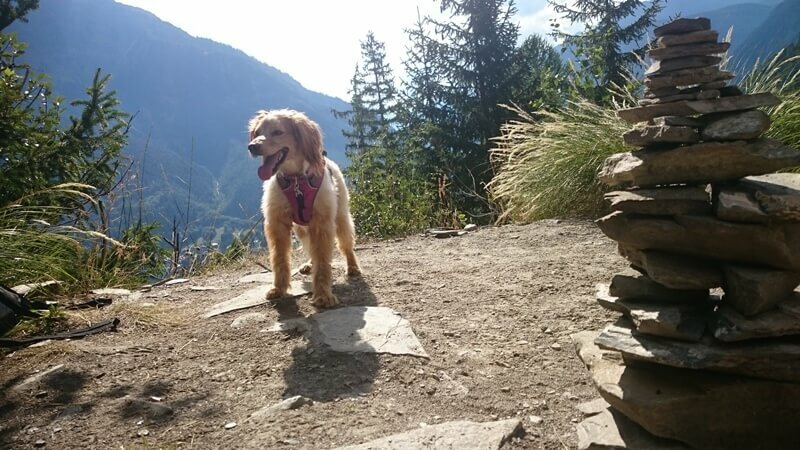 Another one that is great if you have children or if you are not so keen on the steep climbs, but no less beautiful, is Val Ferret. 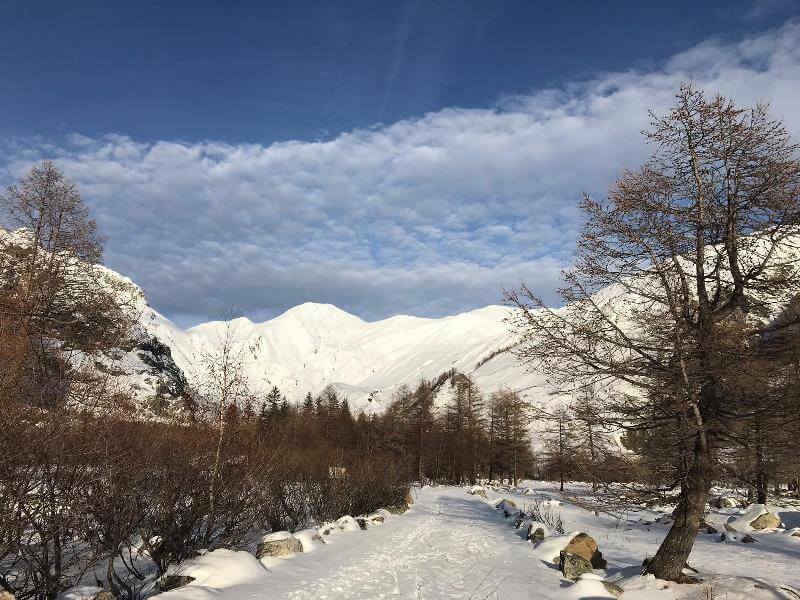 In the winter months, Val Ferret is a popular area for Cross Country Skiing but it has a pisted area and then running alongside it there is a designated path for walkers so this one is also good to access no matter the season. 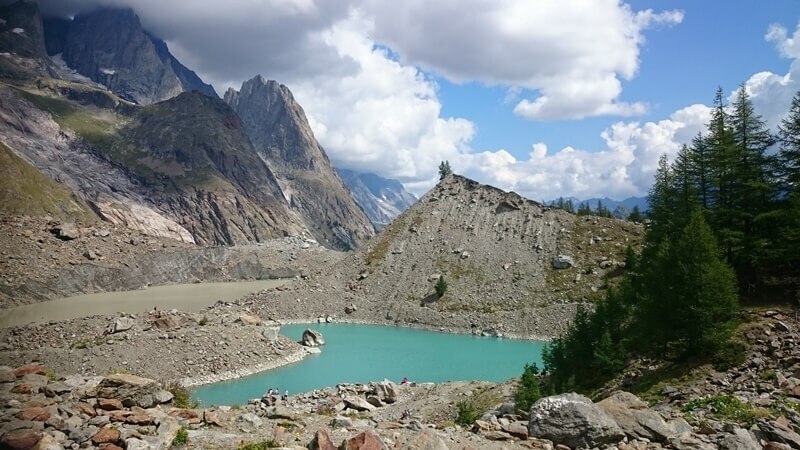 Whilst it can be walked to from Courmayeur, I have done it, a lot of the route is alongside a busy road and it would turn it into a full day walk. So I would recommend driving or getting one of the regular buses up to the Valley. In the summer you can drive right into the valley, although the further in you go the more narrow and windy the road gets. In the winter access is restricted for traffic and generally, you can only go as far a the hamlet of Planpincieux and go on foot from there. This is where I usually park in the summer anyway too. From here you can either follow the main path through the Valley or, in the summer you can follow the trails that lead off up into the mountains too. Rivers,mountains and snow in Val Ferret, perfect! The main route through the valley is on flat and good pathways, runs alongside the river with its crystal clear glacial water and the views up into the mountains are gorgeous. There are lots of restaurants open through the valley in the summer months and on a good day you can pick a sunny spot on one of their deckchairs and enjoy the bustle, the views and the fresh air. This is another route though that does get busy so, if you are looking to escape the crowds maybe my next suggested walk will appeal more. 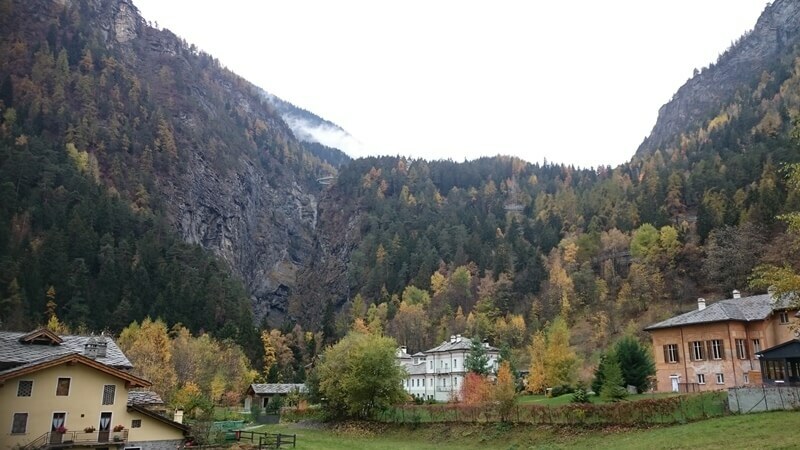 This walk can be done right from the centre of Courmayeur. Depending on your fitness levels it should take around 3 and a half to five hours ( not including a lunch break at the top to enjoy the views which I would recommend). This trail is one that is part of the Tour Du Mont Blanc so, whilst it is a lot quieter than Val Ferret and Val Veny, during the summer months you will still meet a fair few other groups of hikers. It is very steep in parts, has some narrow trails with precipitous drops and they can be rough and uneven. 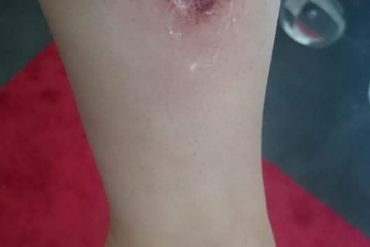 Although I have walked it in trainers, and once even in flip-flops ( what was I thinking! ), I would recommend wearing walking boots or trail shoes. A lot of people choose to use walking poles on this route. After leaving the village there is no access to water either so make sure you have plenty, especially during the hot summer months. This route takes you right past my home base at the top of the Village. From the Church in Courmayeur Centre, follow the steps up and out of the main square to the left. You then continue up the road into the little suburb of Villair Superiore and follow this road all the way up to the top of the Village. There is a little monument in memory of some local climbers halfway up the road and behind this, there is a water fountain which is your last chance to fill up your water bottle. There is one further fountain right at the end of the Village but the water from this one is not drinkable. Keep climbing until you pass the final houses in the villages. The road continues on and bends to the left over a bridge and you follow this for another 10 – 15 minutes until you see a trail leading off to the left with the signs for the TMB and the Rifugio Bertone. From here you may decide to use your walking poles. It is a steep climb on uneven and narrow trails. During the summer there is some welcome reprieve from the heat with the shelter of the trees. It does also mean though that you are climbing for quite a bit before you are rewarded with some fantastic views over the village. It is perhaps around an hour of climbing before you reach the plateau where the Rifugio Bertone is situated and you can take the time to rest, enjoy some sun and some wonderful views. If you are looking for some peace and some really rewarding views of the Mont Blanc Massif, I would recommend following a little trail off to the left that is visible when you reach the end of the steep trail, it is just below the Rifugio Bertone which is above and on the right. This takes you to a wonderful peaceful little pasture that affords amazing views. It is my favourite picnic spot on this route. If you want to do a longer walk it is possible to continue up further on the TMB trail. You may even be lucky enough on this hike to see some Chamois, a wild goat species of the area, in the distance. 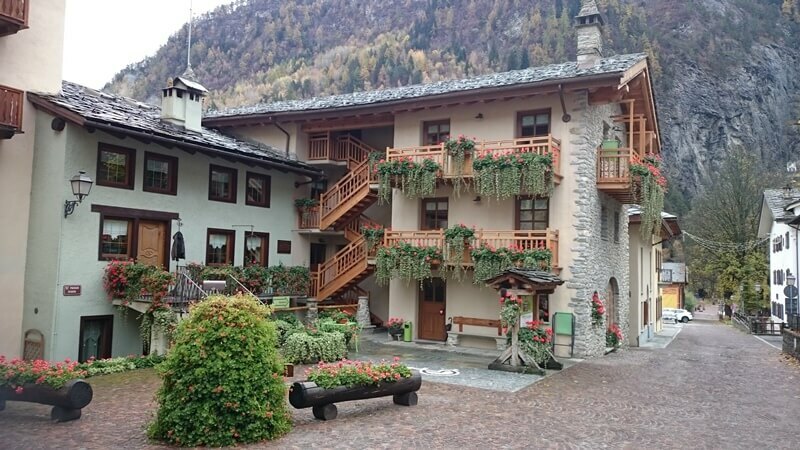 Pré-Saint-Didier is a lovely little village just ten minutes drive from Courmayeur. It is famous for the QC Terme Spa where you can enjoy views of the surrounding mountains whilst relaxing in the outdoor thermal pools. There are also a couple of nice restaurants and some good walks that lead from the village. The Orrido di Pré-Saint-Didier Walkway is a viewing platform that juts out from the rocks of the Orrido gorge, 150m above the village. The views are incredible and it is worth a visit. 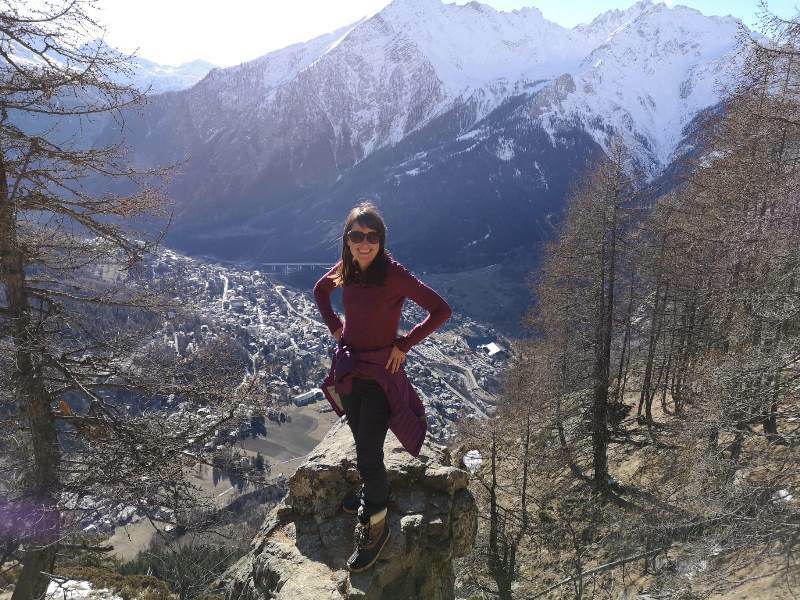 If you want to make a day of it, it is possible to follow some off-road trails from Courmayeur down to the Village of Pré-Saint-Didier and then hike up to the platform from there. 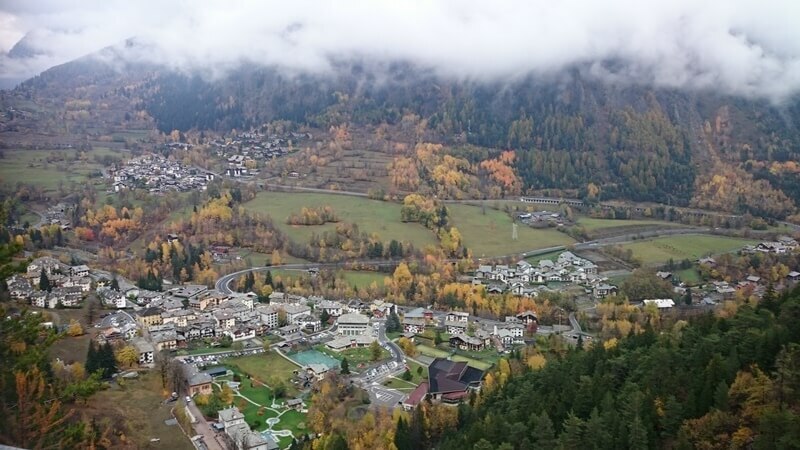 From the centre of Courmayeur, you should make your way downhill (through the underpass near the bus station) to the peaceful little village of Dolonne. If you follow the straight road right to the end of the village you will reach a dead end and a little bridge that takes you over the river and onto some walking trails. There are signs for Pré-Saint-Didier, you are basically following the path all the way down the hill. It is not as scenic a walk as the other three described above. The path does take you under the tall bridges of the Autostrade at one point but it is relatively sheltered on a hot day and it is always a very peaceful route. 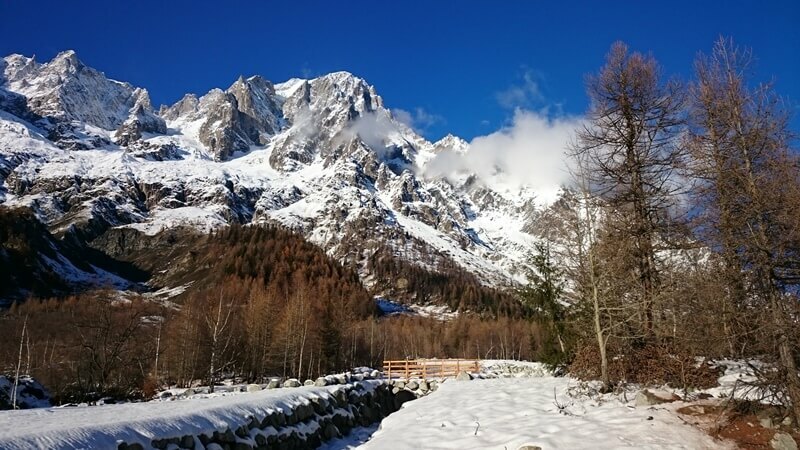 There is a short section when you have to walk along the side of the main road through the little hamlet of Chenoz but it is not traffic heavy and it is only for around ten minutes and then you will have reached Pré-Saint-Didier. The village is lovely and, in the summer, there are flower boxes and hanging baskets everywhere stuffed full with colourful Begonias. To get to the Orrido, you need to follow the signs for the ‘Terme’ and then you have to walk directly past the entrance to the Spa to find the trail. It is well signposted. Before the climb up to the platform there is an ancient bridge and on here the warm, natural thermal waters, amazingly, pour from a spout into the freezing river below. Don’t forget to look for the spout on the bridge that pours out hot thermal spring water! The walk up usually will take anything from 20 – 40 minutes, it is quite a steep hike. If you have children, or just want a little extra fun, the Mont Blanc Adventure Park is also situated up here with lots of aerial walkways in the trees. If you are feeling really brave there is also a zip line that crosses the gorge. In the bad winter weather, for safety reasons, the platform is closed. Another half a day walk that can easily be reached by walking from the Centre of Courmayeur is heading up to Plan Checrouit. 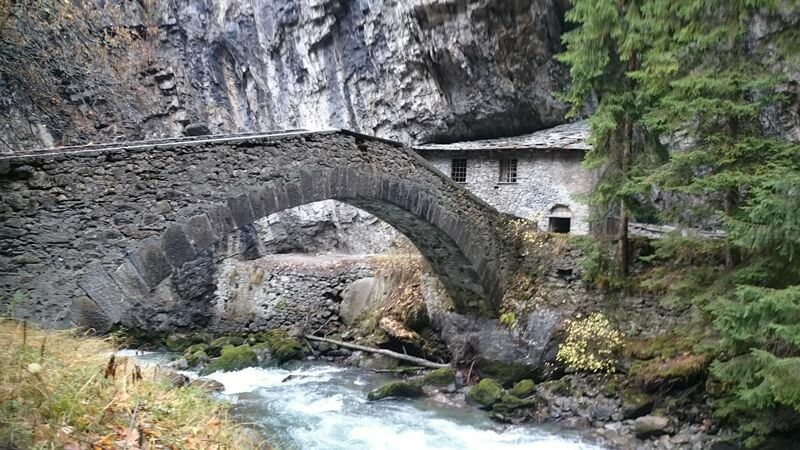 This is also part of the TMB trail but walking in the opposite direction from the one to Rifugio Bertone. For this one, once again head down towards to the Village of Dolonne. Once you are in Dolonne, follow the signs for the children’s fun park. Right in the centre of the village, you will pass a water fountain and this will be your last opportunity to fill up your water bottle for the hike up. You pass the children’s fun park on the left and continue uphill until you come to the yellow TMB signs and take a right up into the trees. It is a steep climb up but, mercifully, a lot of it is under the shelter of trees and this can be a welcome relief in the hot weather. Plan Checrouit is an area that, in the winter, is a hub for skiers. It means that the vistas when you reach the area are not as scenic as some of the other walks as they are interrupted by a lot of the ski run equipment. 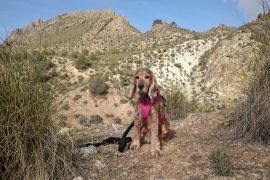 If you want to build up an appetite for a tasty lunch though it is a great walk as there are a number of restaurants up here for you to choose from. 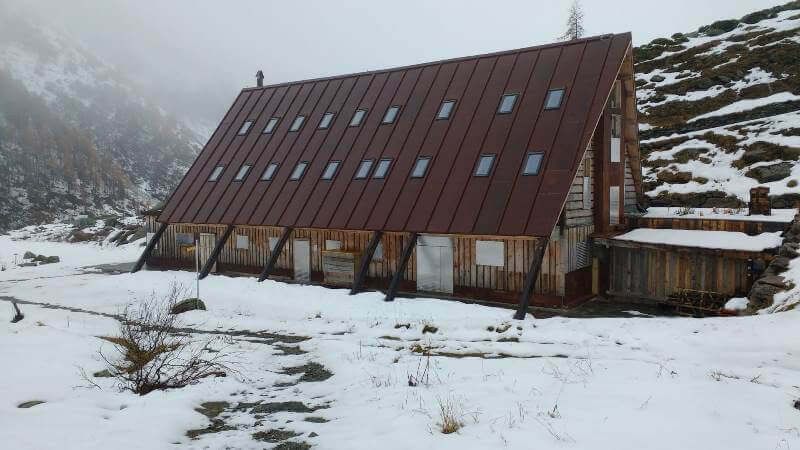 If you want to walk on a bit further you can head up to the Rifugio La Maison Vieille, they also do a good lunch and then even further on to reach a small glacial lake, Lago Checrouit. It is a nice peaceful, elevated spot for a picnic with views over the alpine pastures. 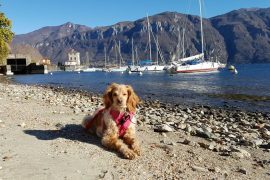 It is probably around a 2 and a half to 3-hour walk up to the Lake from Courmayeur. At Plan Checrouit there is an open air swimming pool where you can experience the mountain views whilst you take a dip. It is only open for a few months during the summer. I never managed to visit it last year as I often had my dog Annie with me when I was out walking in the area and the day I made the trip down myself, just before it closed for the season, it had literally shut five minutes before I arrived because of an unexpected heavy rain shower. This is on my to do list before I leave this Summer!